Jenny looks amazing Dave. Having her a little fun in the sun! That's awesome. 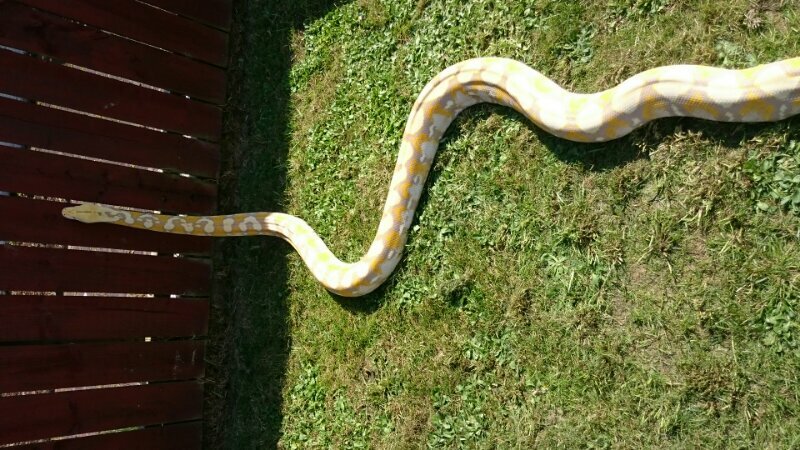 My reticulated python just hit 7ft long. yeah, remy is 8 months old and 7ft, so i would say she is doing alright. Jenny is such a beautiful animal...Hey Dave... At what age should you back off a retic from feeding once a week, to 10 days, to every two week? 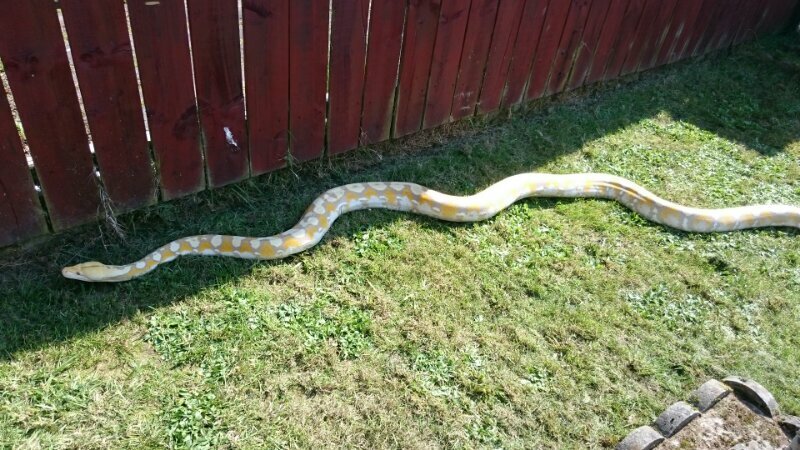 George- 1.0 Purple Albino Reticulated Python... Cornella- 0.1 Pink Phase Corn Snake? It will be awhile before mine is ready to go outside. Awesome girl though. Jenny's one of those snakes that we can identify a mile off. I really enjoy seeing her.